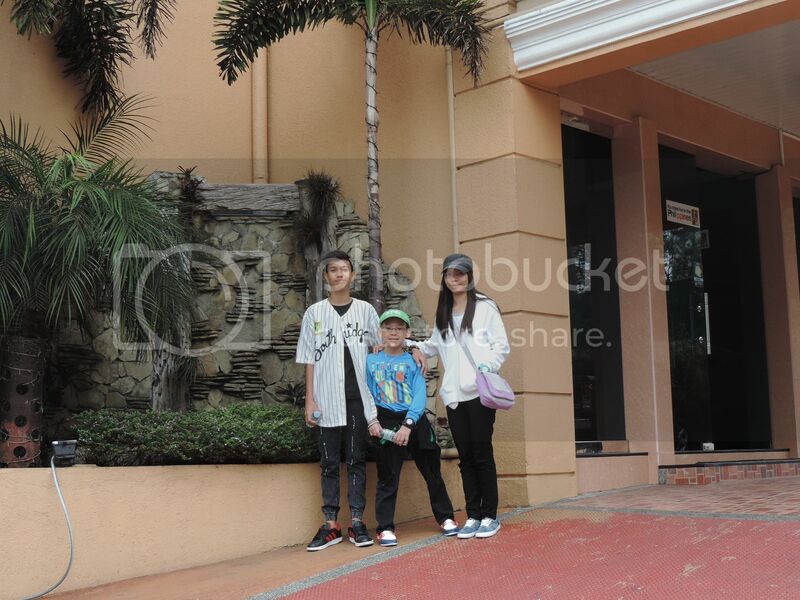 Less than a week after our summer outing at Edsa Shangri-La Manila, we went to Baguio with my niece and nephew, Justin’s cousins. We stayed at the Manhattan Suites for 4 days and 3 nights. 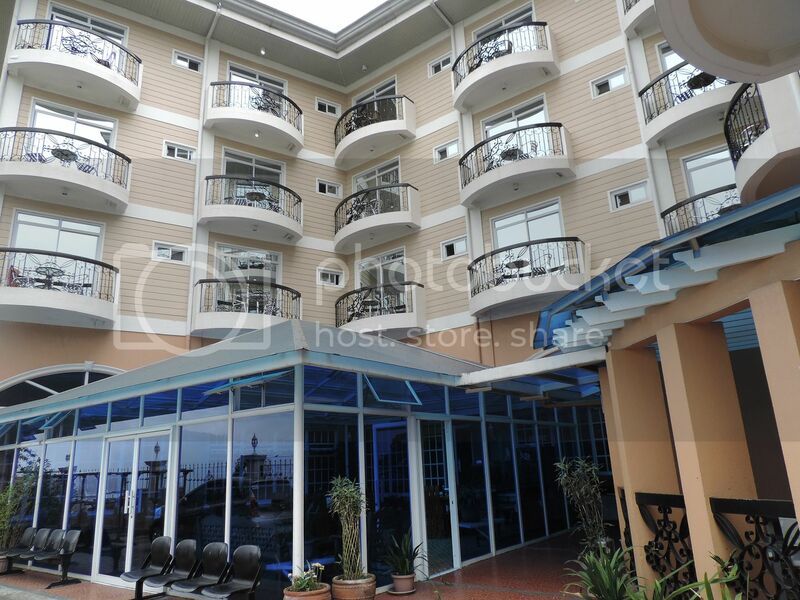 Manhattan Suites is a 3-star hotel located on Septic Street, Baguio City. It’s a few-minute drive from SM Baguio. They have a total of 21 rooms for couples and families of up to 6 people. 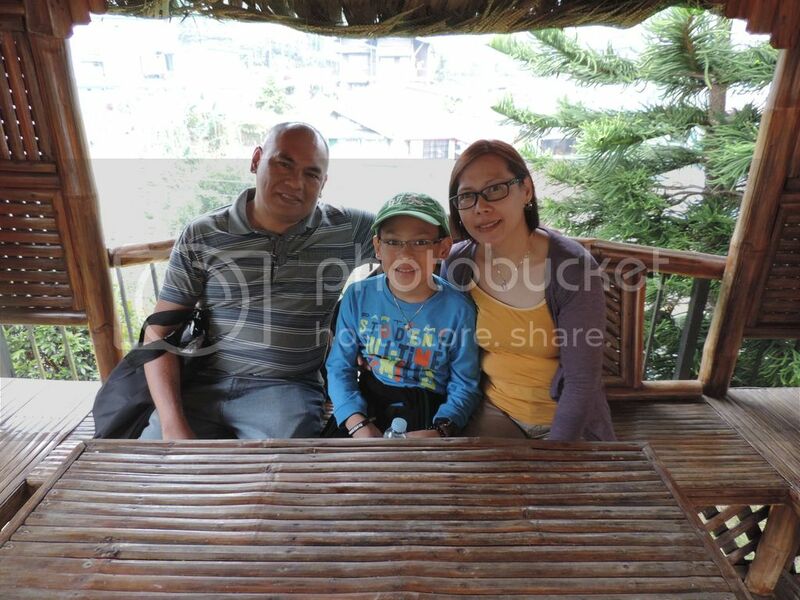 Our soon-to-be-10-year-old son asked his Dad for bonding time with his cousins in Baguio as part of his birthday gift. Because there were 5 of us (2 adults, 2 teenagers and 1kid), hubby booked for a Quadruple Room with 1 queen bed and 2 single beds. It has an LCD cable TV, electric fan (you don’t really need an aircon when you’re in Baguio), coffee-making facility, complimentary bottled water, toiletries (shampoo, bar soap, toothbrush and toothpaste) and hot-and-cold shower. Because we arrived early in Baguio (around 5am) and had nowhere to go, hubby contacted Manhattan Suites’ front desk to find a temporary room for us before we moved to our reserved room at the expected check-in time. Before noon, they transferred us to our booked room on the second floor of the hotel (see picture above). Our Quadruple Room has a small balcony which was perfect for a photo shoot. Manhattan Suites also has a landscaped garden with a small pond. On the same garden sits a small bahay kubo (nipa hut) where guests can lounge around while waiting for a cab to arrive. Our hotel accommodation comes with a complimentary breakfast for 2 people. Except for breakfast and one dinner at the hotel restaurant, we ate mostly outside Manhattan Suites. 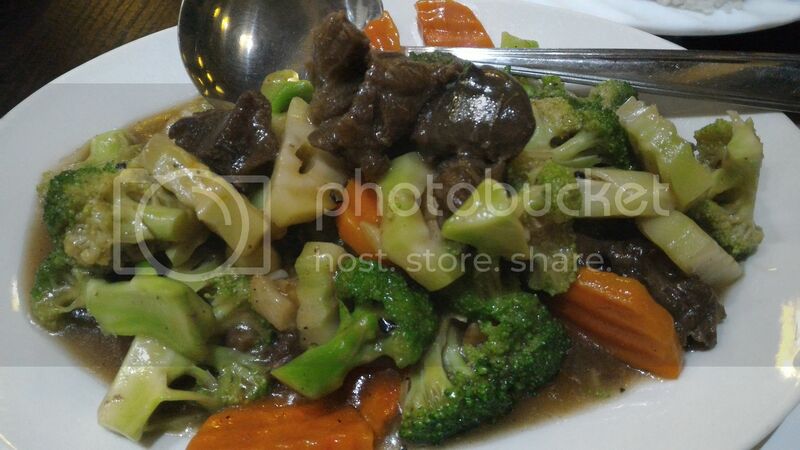 These were what we ordered for dinner on our last night at Manhattan Suites. Generally, the food was okay, and the prices (ranging from Php150 and above) were quite reasonable. •	The rooms are clean and spacious. •	The staff are courteous and accommodating. 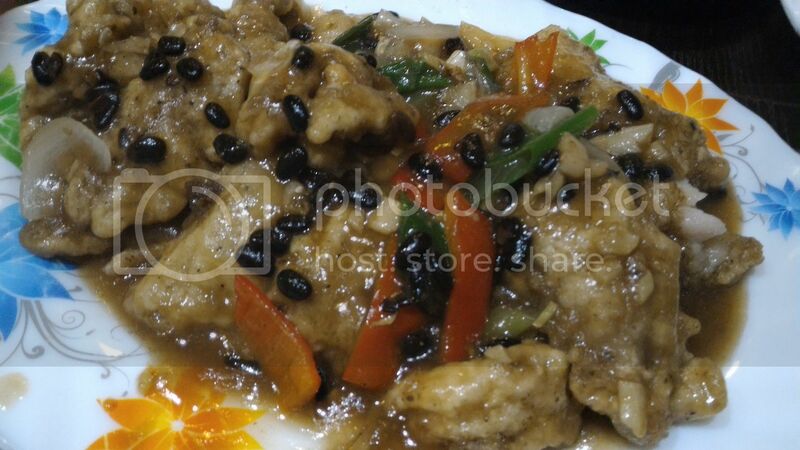 •	The owner is very friendly and personally attends to the guests’ needs. •	They have a coffee bar. •	They have a 24-hour front desk and room service. •	They offer laundry service. •	They have free wi-fi. •	They have an internet café that the guests can use for free. I forgot to take a picture of it, though. •	They have ample parking space. 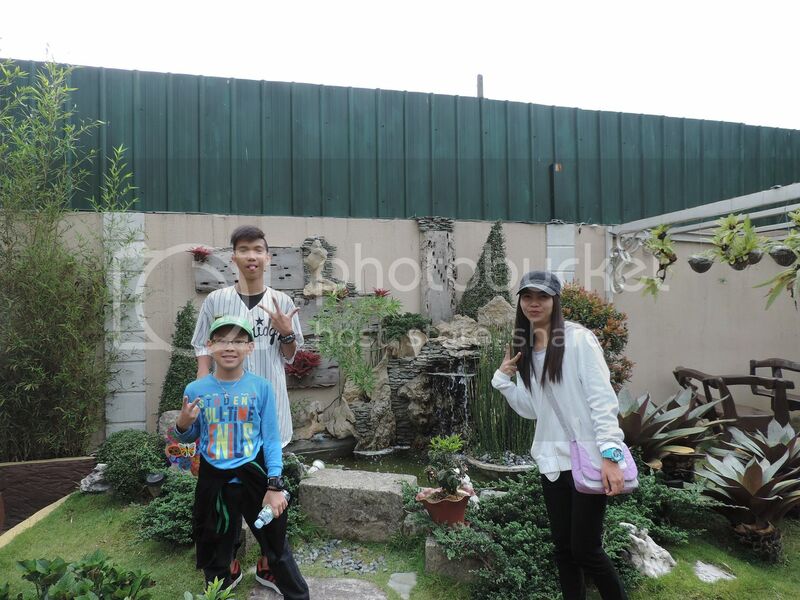 •	They have a beautifully landscaped garden with a small pond and a bahay kubo. •	They have a hotel van that you can rent for a minimal fee if you don’t have a car or find it hard to get a cab. •	The location is not easy to find and it’s hard to get a cab going out, so it’s best to walk to the nearest gasoline station to get a ride. •	Wi-fi signal is strong in the lobby and hallways but not in the room. 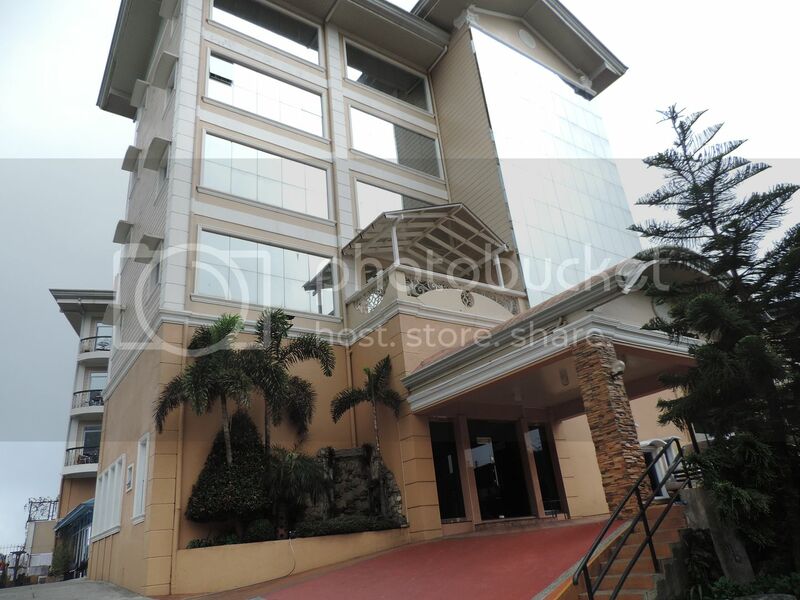 Overall, we had a pleasant stay at Manhattan Suites in Baguio. 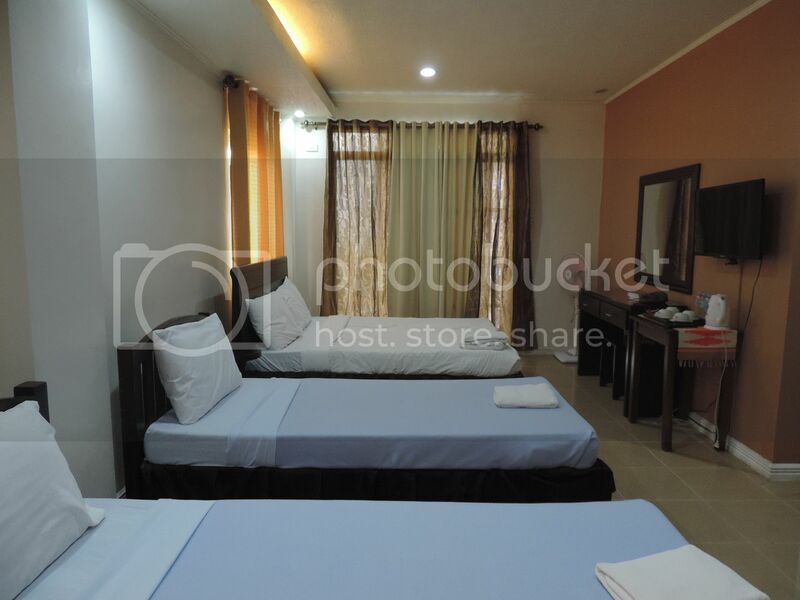 We highly recommend this hotel to people who also plan to visit the City of Pines. This entry was posted in Baguio, Hotel Review, Hotel Staycation, Manhattan Suites, Summer 2016, Summer Vacation. Bookmark the permalink. I missed Baguio, I used to go here every year when I was still in college. Five years ago na yung last visit namin. The hotel looks nice, yun lang mukhang di accessible if you don’t have your own ride. It’s a nice little escape from the city, that for sure. I like that they have rooms that are big enough for large families or for a huge party. 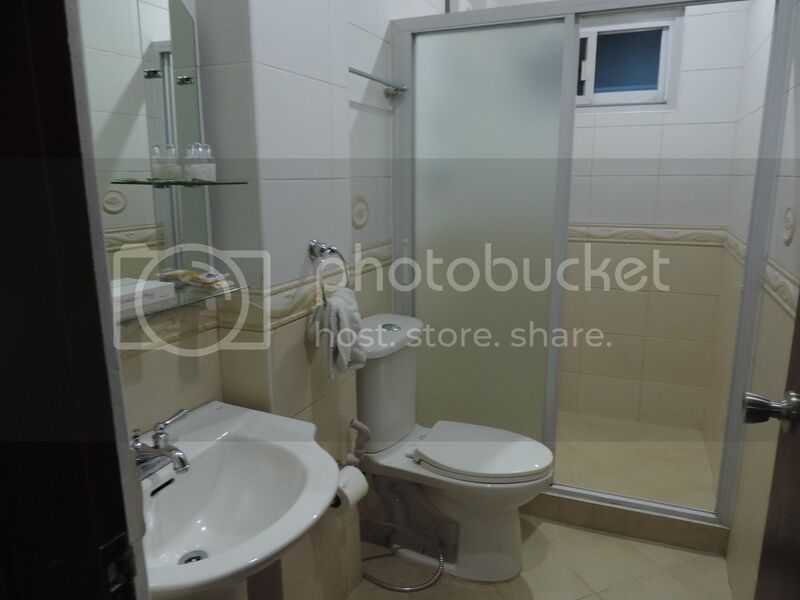 The bathroom is clean as well. I’m sure you had a lot of fun! What a treat! I like that they have clean rooms. 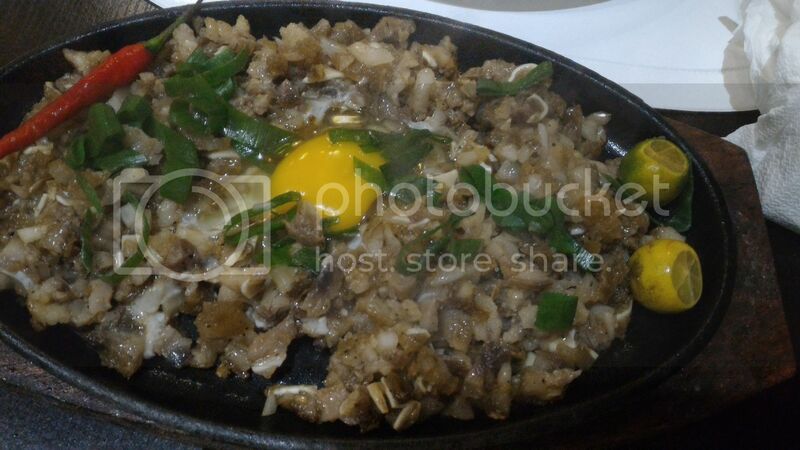 We will definitely try them out when we are in Baguio. Thanks for sharing. I like hotel rooms with balcony. It gives me an excuse to appreciate the surroundings and even the horizon. I find balconies perfect for star gazing and evening chitchats. SOmetimes, getting a hotel far from the main road has its good side as well. Gives you reason to walk leisurely and appreciate nature more. I have never been to Baguio and I look forward to visit the place while we are in Manila, as it is closer, for this price it’s very cheap and the food looks delicious, thanks for this information. It has been ages since we have last visited Baguio. We normally stay at Le Monet, CJHM or Azalea, but I dont mind trying and discovering new accommodations. 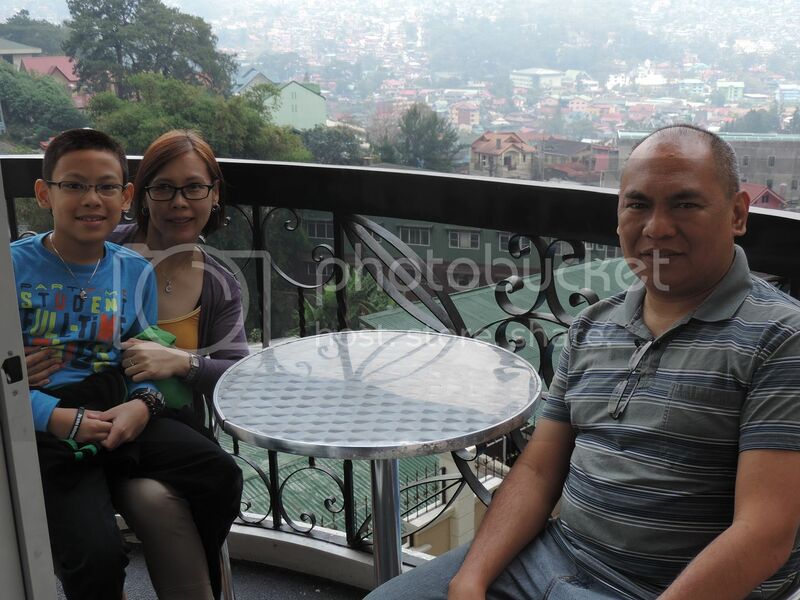 Thanks for sharing will check Manhattan Suites on our next Baguio visit, hopefully soon. It does look like nice transient place to stay. The food also looks delicious. The only thing that amused me is the name of the street – Septic street. Must be stinky there. Haha. Just kidding. Good find! Will definitely consider this place when we go to Baguio! Mukhang cost efficient kasi sya with the amenities and free breakfast pa! We also went to Baguio few week ago, we stayed naman in Bonbel Condominium which is perfect for big groups kasi the 2 bedroom can accommodate 5 to 10 people. Will consider Manhattan on our next Baguio trip. Oh I miss Baguio, sana makabalik kami soon.